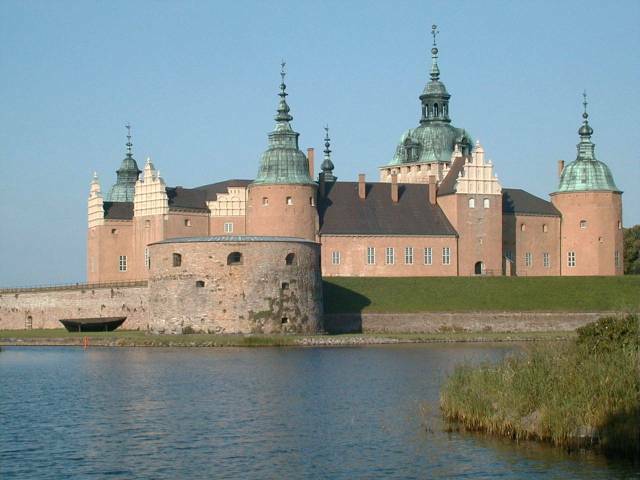 Here are some castles and palaces of Sweden. This first post is about the Royal Palace. Next post will be about castle and palace that were between the RF domain. 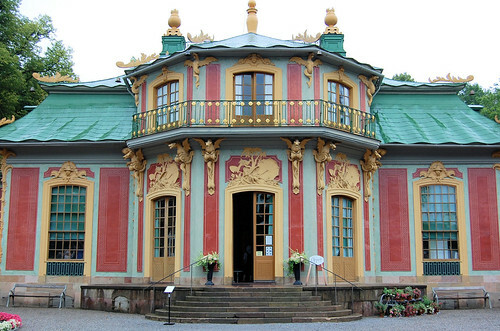 The Chinese Pavilion is a remarkable treasure in the majestic grounds of Drottningholm. King Adolf Fredrik surprised Queen Lovisa Ulrika on her birthday in 1753 with a small Chinese pleasure palace in the Drottningholm Palace park. It was a highly appreciated birthday present as chinoiserie was all the rage in Europe at the time. The original wooden building was replaced in the 1760s by a more permanent one, which today contains one of the finest European rococo interiors with chinoiserie. The Royal Palace of Stockholm is His Majesty The King's official residence and is also the setting for most of the monarchy's official receptions. The palace is a daily place of work for The King and Queen as well as for the various departments that make up the Royal Court. Now the castle is a museum which is open to the public, containing paintings and works of art. Part of the castle houses the National Portrait Gallery (Statens porträttsamlingar), one of the oldest portrait collections in the world. The museum includes a badly-stuffed lionwhich has become infamous in recent years. 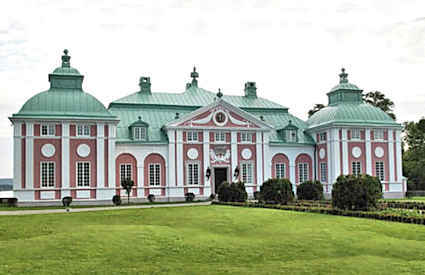 Haga Palace, formerly known as the Queen's Pavilion, is located in the Haga Park. 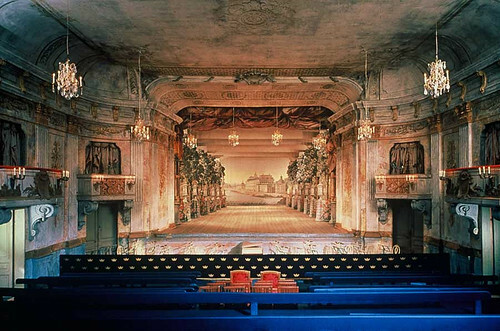 The palace, built in 1802 – 1805, was modelled after ballet-master Gallodiers Italian villa in Drottningholm by architect Carl Christoffer Gjörwell on appointment by King Gustaf IV Adolf for the royal children. 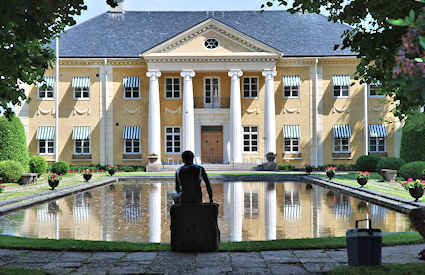 It has been the home or summerhouse for several members of the Swedish royal family – most notably it was the birthplace of the present King – until 1966 when King Gustaf VI Adolf transferred its disposal to the government and it was turned into a guesthouse for distinguished foreign official visitors. In 2009, it was announced by Prime Minister Fredrik Reinfeldt that the rights of disposal to the palace will be transferred back to the royal court to be used by Victoria, Crown Princess of Sweden, and her husband, Prince Daniel, Duke of Västergötland, as a wedding gift in 2010. They moved into Haga Palace after their wedding on 19 June. 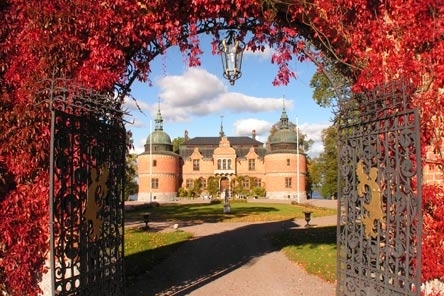 Rosersberg Palace is one of the best kept secrets of Sweden's royal palaces. At Rosersberg time stands still. Gabriel Bengtsson Oxenstierna named the palace after his mother who came from the prestigious Tre Rosor ("Three Roses") family. In the 1960s the Civil Defence force took over parts of the palace and grounds and parts are now used by the Swedish Rescue Services Agency. 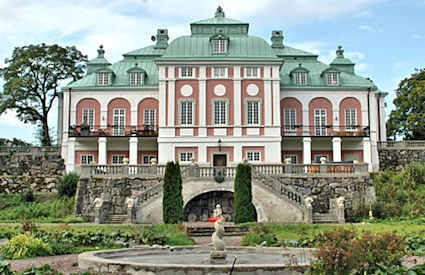 The baroque palace is built on the site of a fortress from the 1550s, located on an island in the Kolbäcksån river at the west end of Lake Mälaren. 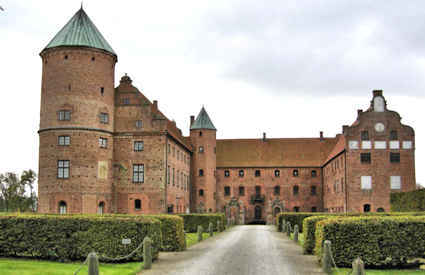 The Queen Dowager, Hedvid Eleonora, headed many large construction projects at Strömsholm. She built the new palace and around twenty other buildings in the palace grounds. Tullgarn is associated with King Gustaf V and Queen Victoria, who spend their summers here at the end of the 1800s and beginning of the 1900s. 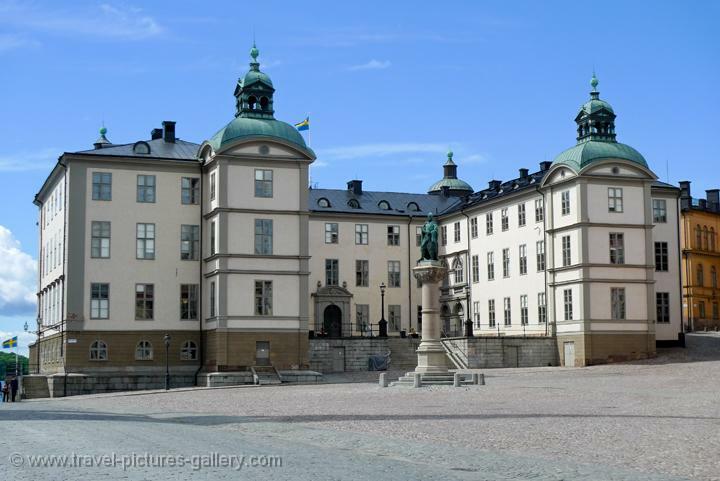 However, the palace was originally built for Duke Fredrik Adolf in the 1770s. The Duke's interior design are one of Sweden's finest. Rest for a moment in the courtyard and breath in the fresh lake winds. 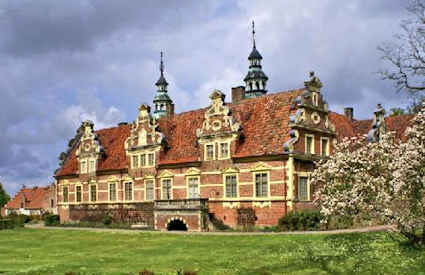 The palace was built for Constable of the Realm Jacob De La Gardie by architect Hans Jacob Kristler. 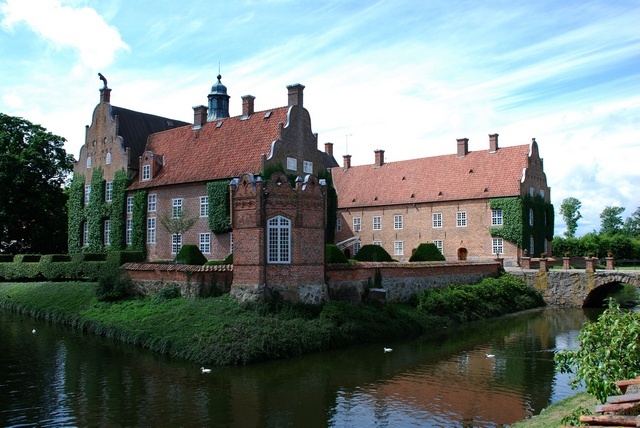 The palace was called Jacobsdal until the time of Queen Hedvig Eleonora. The original castle on the property was built in the 12th century. The present building was erected in 1862, in French Renaissance style. 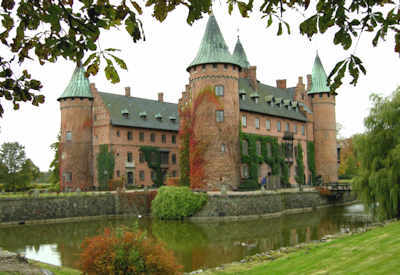 Today the castle houses offices and meeting rooms used by the Swedish University of Agricultural Sciences. The castle park has the second highest variety of trees in Sweden and is open to the public all year. Prince Carl Philip completed his studies here. Ekenäs Castle (Ekenäs slott in Swedish) is a castle located outside Linköping in Linköping Municipality, Östergötland, South-East Sweden. The present castle was built in the 17th century on top of the foundations of a medieval fortress from the 14th century. The lake surrounding the castle hill created a natural defense; however, this was drained in the late 19th century to create more arable land in the area. 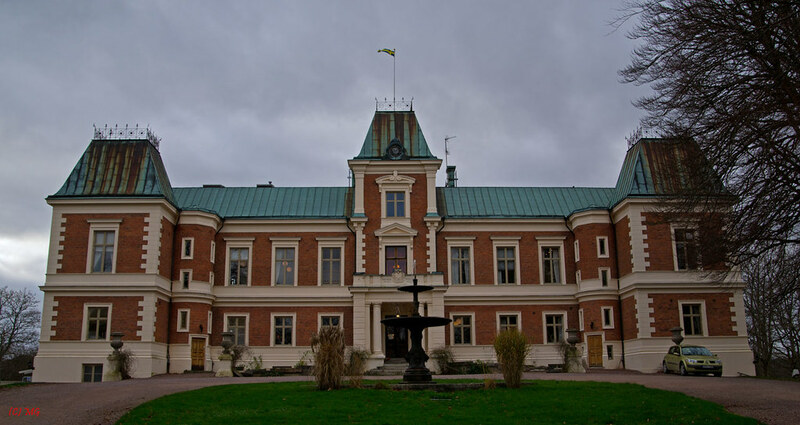 During World War II, the Ekenäs Castle reverted, to an extent, to its original function as a defensive fortress. Koberg Castle is a castle in Västergötland, Sweden. It is located near the lake Vanderydsvattnet, about 10 km south ofTrollhättan. It is the residence of Princess Désirée, Baroness Silfverschiöld and her husband Baron Nicklas Silfverschiöld. Karlberg Palace is a palace by the Karlberg Canal in Solna Municipality in Sweden, adjacent to Stockholm's Vasastaden district. The palace, built in 1630, today houses the Military Academy Karlberg. Orebro Castle is a medieval castle fortification in Örebro, Närke, Sweden. 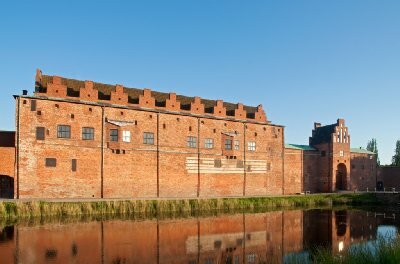 It was expanded during the reign of the royal family Vasa (House of Vasa) and finally rebuilt about 1900. 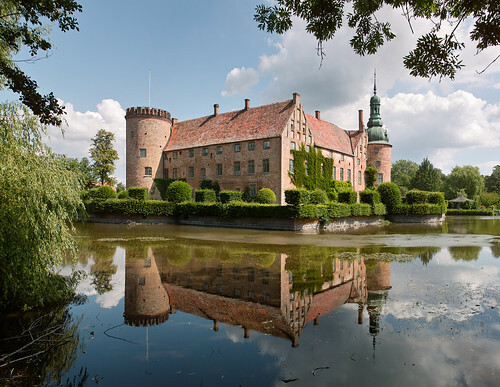 Stora Sundby Castle is a castle in Eskilstuna Municipality, Södermanland County, Sweden. The architectural features of the castle resembles those of a calendar, four large towers symbolizing the seasons, twelve small towers symbolizing the months of the year, 52 rooms symbolizing the weeks of the year, and a window for each day of the year (365). I've never seen that last castle, Stora Sundby, nor heard about it. It looks fabulous. I must check if it's possible to visit. Tjolöholm is fantastic. I've been inside and it's actually quite cosy, which not often is the case with palaces and castles. I could fancy myself living there. Thanks for the new pics Baron B. The Swedish National Property Board has published a magazine about the Royal Palace. It's really beautiful!!! The TV programm Svenska hemligheter (Swedish secrets) dedicated an episode to the Royal Palace in Stockholm. I don't why but I love this video. It shows the royal palace in a different light. "Mysterious" places: the tunnel, the cellar, forgotten stairs and attic. And at 9.30 you can see Crown Princess Margareta garden room. 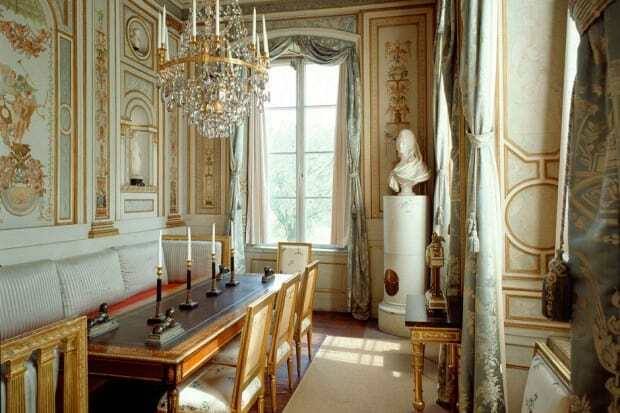 The video is cloosed by the amazing rooms of the Royal Palace. For several years, a preliminary study of His Majesty the King commissioned the possibility to cover the roof of the Royal Palace roof with solar panels. A smaller test facility, which was installed in 2010 on the north wing of the castle's roof, has worked perfectly. The castle's roof area is 7200 square meters and 4400 square meters will be covered with solar cells, these could generate around 500,000 kWh per year. It corresponds to the annual consumption of about 20 average homes or townhouses. The solar panels are easy to assemble and disassemble, and they would not damage the monument of the Royal Palace. -It would not be visible from the ground and won't affect the castle's appearance. But they would be visible from the air! A visitor arriving in Stockholm by air could see that the Head of State himself is in the forefront of a change to renewable energy,- says Marshal of the Realm Svante Lindqvist. The structures of these buildings are simply breathtaking. The architectural designs are amazing. Never seen this topic before. Absolutely breathtaking images. I've been to some of these castles as a tourist a lifetime ago (sigh).